Join experienced PR consultant, Olivia Jones Symcox, and seasoned journalist, Sheetal Cross, on 25 September 2018, at The Benjamin Boutique Hotel, Durban, for an explosive day seminar poised to change the face of any business. The unique offering is aimed at enhancing brand credibility and visibility of businesses in mainstream media. The seminar, which is offered in English and isiZulu, will highly benefit media liaisons, members of communication and marketing departments, SMME’s, women in business, entrepreneurs, corporates, NPOs, organisations and business owners. Attendees will learn how to access mainstream media coverage, identify newsworthy content and use marketing tools without a budget. In addition, they will gain valuable skills on how to effectively network and communicate their business brand message, increasing media visibility and product exposure. 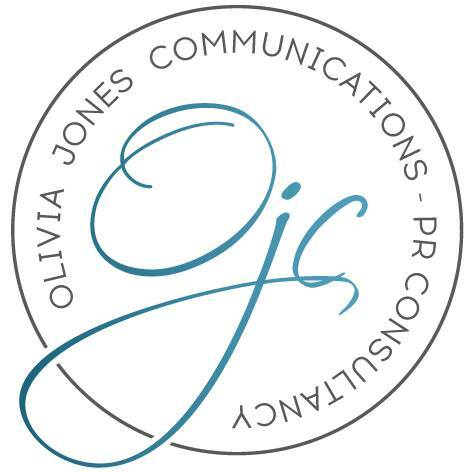 Sharing some worthwhile insights into business-enhancing public relations is Olivia ‘OJ’ Symcox of Olivia Jones Communications, a PR consultant with 17-years of industry experience. Symcox has managed a number of high-profile campaigns, working with some of the country’s leading corporates over the years. She brings unique insight into media and PR, having also worked as a television reporter, newspaper columnist, regional magazine editor and radio presenter. “There are also so many opportunities to grow a brand through earned media coverage, which is extremely cost effective and really impactful and we would like to share these tools with those that may benefit from the seminar,” explained Symcox. With 14-years in print media journalism and a decade of workshop facilitation experience, Sheetal Cross will be discussing the various aspects related to effectively dealing with journalists, interview skills, non-verbal and verbal communication skills and strategic networking. Sheetal is currently studying a Masters in Journalism, is a part-time journalism lecturer at the Durban University of Technology (DUT), is a columnist for the Sunday Tribune and presents DSTV’s Trace Sports Stars International. Cross also recently establised a 100% BEE, women owned, media company called TITANIUM MEDIA SOUTH AFRICA (TMSA), to facilitate Black Economic Media Empowerment Programmes for businesses. “A business is more likely to succeed when the driver has access to resources, as well as genuine, credible and factual information. Our aim through this seminar, is to educate, empower and facilitate sustainable change at any level of growth, through the provision of imperative and effective media, language and communication skills,” said Cross. Entrepreneur and isiZulu translator, Nomfundo Hlengiwe ‘Hle’ Shandu, will be in attendance to ensure all attendees enjoy the full language benefit of the seminar. Hle, who has a National Diploma in Operations Management, has more than a decade of experience in the manufacturing industry, with almost half that time dedicated to a leadership position. She is a vibrant entrepreneur with her own registered business, Gemisquare Bakery, which caters for all occasions. Seminar manuals distributed on the day will be available in both English and isiZulu. Attendees will get access to FREE WiFi, stationery, morning and afternoon refreshments and a light lunch. Cost: Tickets are R980 per person. Registration: 7.30am-8.30am. For more information, contact Olivia at oj@oliviajones.co.za, 082 537 8840 or Sheetal at info@sheetalcross.com 072 030 7659.